A lovely day spent wandering in London, meandering through lanes and streets, visiting favourite places and discovering new ones. I started my day in my favourite old boots but ended it in a stylish and bargain priced pair of Sanita sandals. A delightful development. 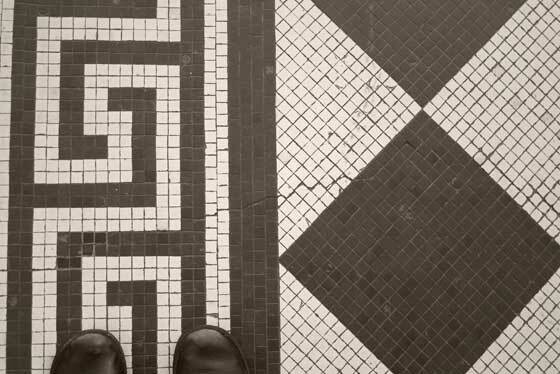 The photo above is a picture of my old boots on mosaic floor of the National Gallery in Trafalgar Square. This entry was posted in Documentary and tagged london, photography, shoes. Bookmark the permalink.